That is the new background on my work computer. Makes me want to go out and weigh some meaty babies. 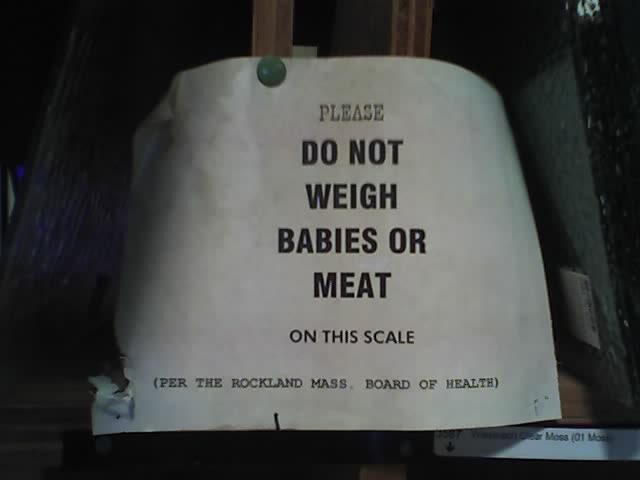 Yeah, meaty babies. Upon further consideration, I decided that this sign, while funny, is actually very redundant. Babies are, well…meaty.